We all love chocolate, let’s face it, and London is a hub for great choccy treats. So if you want a tasty sugar boost, we have listed the top 10 chocolate shops in the capital. Rococo marked Roald Dahl’s 100th year with a ROCOCO X ROALD DAHL collection including Bruce Bogtrotter’s Chocolate Fudge Cake bar, Frobscottle & Snozzcumber and James’ Scrumptious Peach bars. With store’s scattered across London including locations in Marylebone and Covent Garden you’re sure to never be far from a delicious treat, and be sure to keep an eye on their events page. Taking over East London is Land Chocolate. Phil Landers’ travelled through central America to source the very best cocoa beans to create his range of single-origin bars. 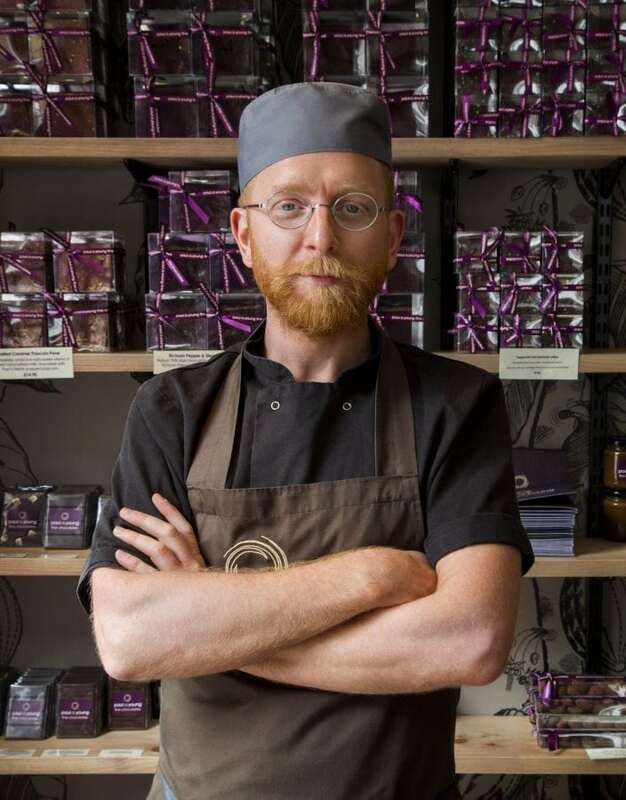 Having worked with both Paul A Young and the Mast Brothers, Phil refined his art and officially launched Land chocolate at London’s Chocolate Show 2016. Holding fort in West London are R Chocolate with their two stores in Richmond and Sloane Square. This is chocolate ‘How you want it, when you want it’ with personalised initials on bars and cakes, and a little trip down memory lane with retro coconut bars and chunky peanut & nougat bars. Their chocolate is all sourced from Original Beans – the first chocolate producer approved by the Sustainable Restaurant Association. 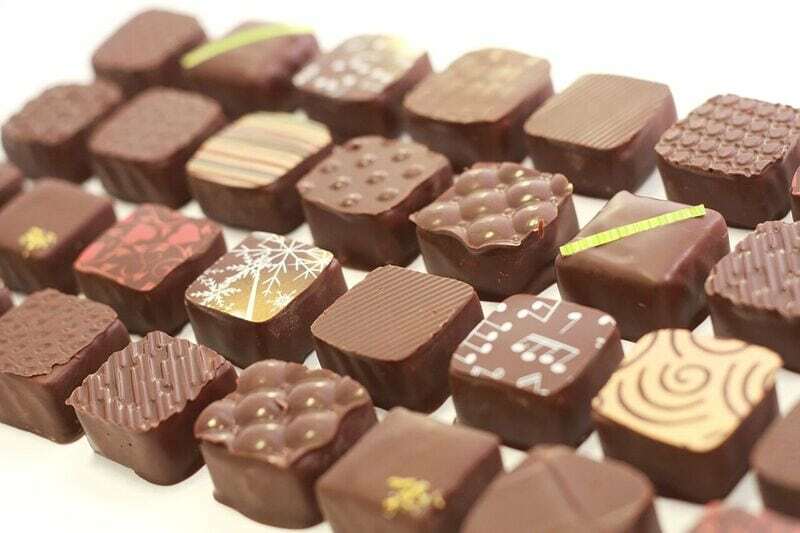 From a young age Philippe Jambon had immersed himself in the magic of chocolate making until he opened his very first chocolate factory in Bruges, connecting his French and Belgium roots. Jeff De Bruges pride themselves on modernising traditional recipes and keeping on trend with seasons to keep the costumer happy. But whether you side with the hazelnut slabs or think of yourself as a sweet Juliette there will always be a sweet indulgence for yourself. Have a wander down Marylebone High Street and you’ll find yourself transported to the land of Haute Chocolaterie, Pierre Marcolini, where each creation celebrates chocolate. Bringing enchantment and fantasy to shops this Easter, Marcolini has designed a Japanese Doll that morphs into your Easter Egg from the new Kawai Collection. So keep your eyes peeled on his other locations and wait with anticipation for him to conjure up some more Marcolini Magic. If you fancy award winning chocolate bars made from the bean in London, Damson in Islington should be on your to-do list. Flying your taste buds around the world, the biggest decision you’ll have to make is where you want to go. Offering flavors from Brazil, Nicaragua, Phillipines and Vietnam, it’s no wonder the highly regarded Academy of Chocolate recommends Damson as the ‘One to Watch’. The Salted Caramel trend is still in full swing and if you hadn’t been converted yet then pop down to Artisan Du Chocolat and try the salted caramels made for Gordon Ramsey at Claridges. Loved by costumers and celebrity names such as Nigella Lawson, Artisan Du Chocolat take full responsibility for converting the population. With a mix of textures and flavours, no wonder these are Artisans best-selling and most famous creation. If you want to explore the rest of the range at Artisan, why not check out their most wanted list which embodies luxury and indulgence with 11 delectable delights to try. 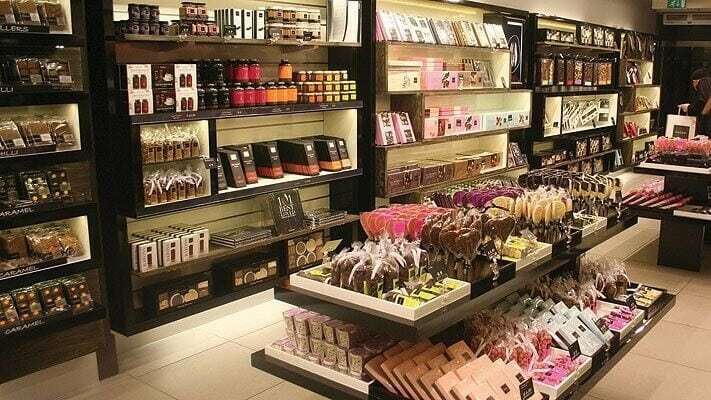 With 33 stores and boutiques across London, Hotel Chocolat will definitely have a sweet treat for you or a loved one. If choosing from the delectable desserts is tricky, then ‘The Everything Luxe’ is the selection for you, embodying 40 iconic chocolates that will satisfy every chocolate craving. 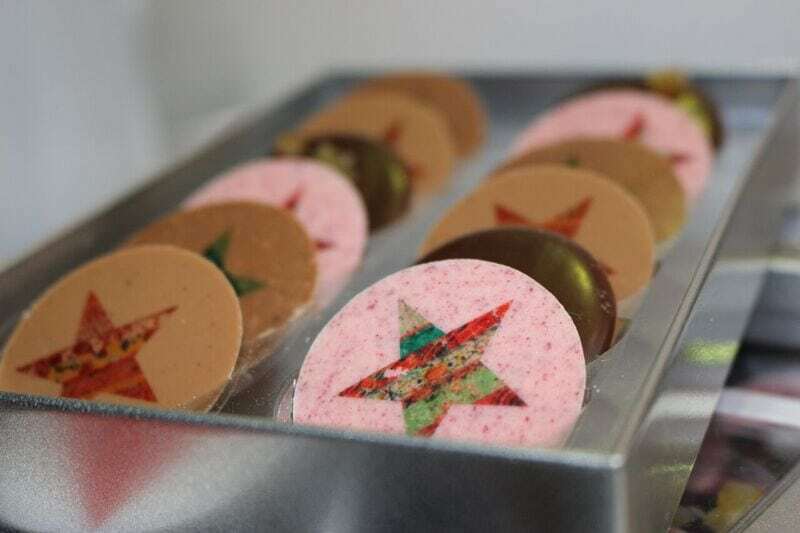 Joining the milk, dark and white chocolate royalty, you’ll have first dibs on Champagne Truffle, Eton Mess and Caramel Cheesecake to name a few. Planning a visit to Brighton soon? Put down the stick of rock, the cotton candy and buy a Signature Thin from Paxton’s Chocolate. Hand made with the finest ingredients, these are perfect bite-size treats with 6 exciting flavours to tantalize your taste buds, and if you are still left wanting more, Signature Thins have gone giant! Look out for Paxton’s Pop-ups coming soon! ADDED BONUS: Not happy with just one chocolate shop? 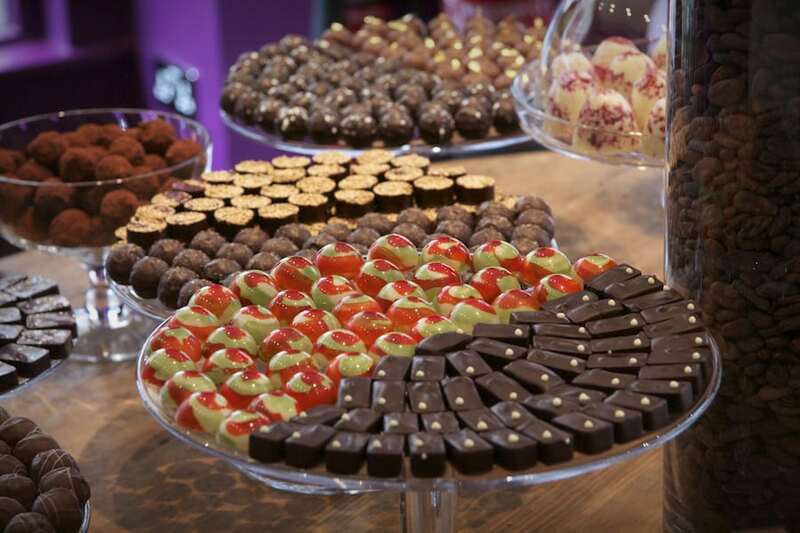 Why not take a tour of some of London’s best chocolate shops with Chocolate Ecstasy Tours! You’ll be guided by a ‘Chocspert’ through the streets of your chosen London area, sampling the very best each shop has to offer with other likeminded chocoholics. And with their guarantee that you’ll leave ‘completely full of chocolate’ who are we to resist? Not choc’d out yet? You can see lots more chocolate companies, top chefs and chocolatiers come together at The Chocolate Show, Kensington Olympia 13 – 15 Oct 17.